Welcome to Homestead Estates Home Plus, LLC! Homestead Estates Home Plus is a state licensed nursing care facility providing resident centered care in a homelike atmosphere. We have a low resident to staff ratio and care for our residents like family. All of our activities are based on resident preference, emphasizing our individualized resident care. Meals are planned with a Registered Dietitian, residents and staff. 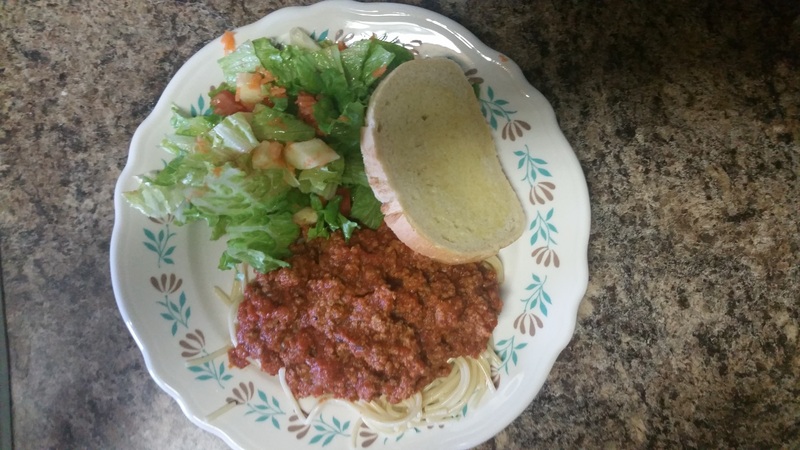 Home cooked meals are prepared using home raised beef and pork and resident’s family recipes. We have superior customer service based on relationship centered care. Our quiet and peaceful atmosphere allows residents to relax and enjoy their leisure activities. We offer private and semi-private rooms, whirlpool jetted tub or in-room shower as bathing options and more! The building and its amenities are designed to be like home. Private space includes the resident’s room which they are allowed to decorate as they like to give a sense of HOME. Each room is equipped with phone hook-up and DIRECTV services. Private bedrooms have a shared bathroom with one other resident. Semi-private bedrooms have a share bathroom with their roommate. Bathrooms include a roll-in shower, toilet and sink with ample space. 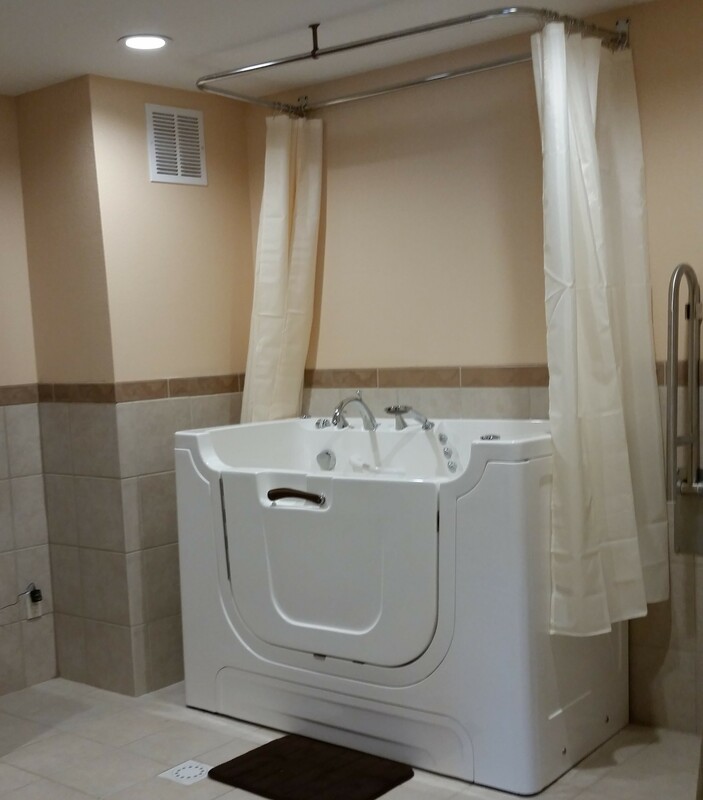 Residents who desire a bath access the spa room which is equipped with a whirlpool jetted tub and hair sink. Residents may have their hairdresser come to Homestead Estates to provide salon services if they choose. Community space includes “The Lounge” where residents can enjoy community TV viewing, access to games and crafts and piano playing. 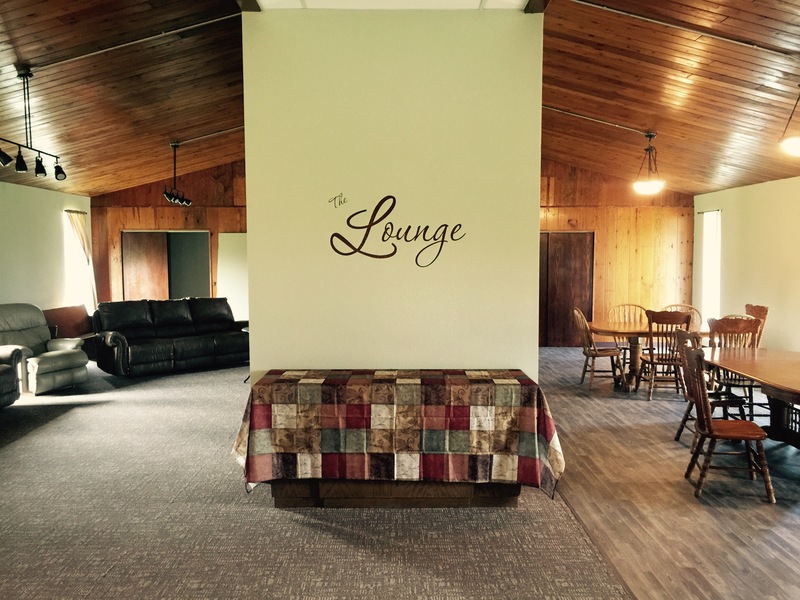 “The Lounge” is where residents typically dine as a family for lunch and dinner. Breakfast is served as the resident’s desire, they might enjoy their favorite breakfast beverage as their breakfast is prepared or they may choose to wait for other residents before they have their meal. Our senior living home is dedicated to providing our residents with the utmost care and attention. Whether you are looking for long term or short term care or adult daycare services, we can assist you! We make sure our seniors are comfortable and give them the utmost care and attention. We are a family and are confident in our resident satisfaction. We want the best for each and every resident which is why we have a low ratio of residents and caretakers. Don't look any further and bring your loved one to our long term care senior living home. Your loved one will be in great hands, surrounded by loving caretakers who take special care of our residents. We are a locally owned & operated affordable senior living home that is, reliable, trustworthy, and puts top priority on our residents. You won't have to worry about medication management, assistance with daily living or meals. We are experts in elderly care and will gladly answer any questions or concerns you may have. 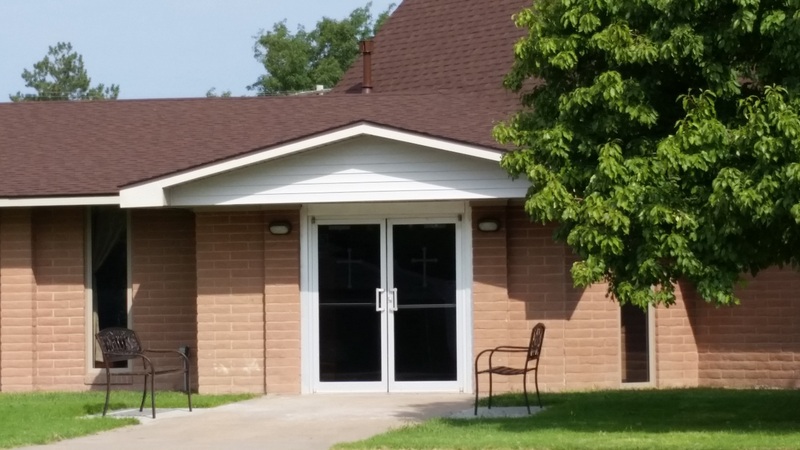 For more information regarding Homestead Estates Home Plus, LLC in Liberal, KS call us today!